Our customers love their integrated websites which automatically processes orders into their Sharp-aX system and deposits cash into their bank accounts whilst they sleep. 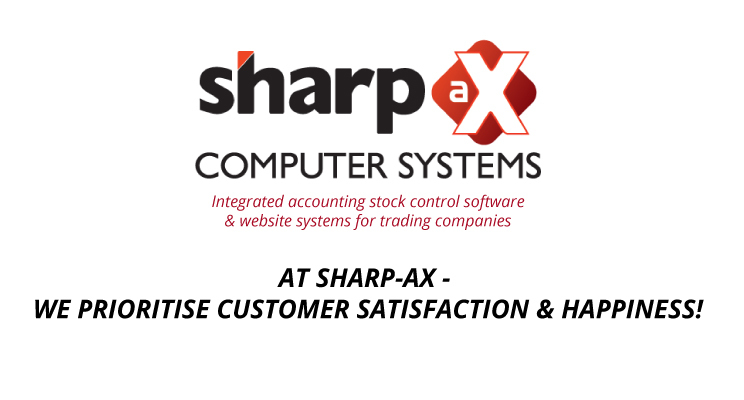 Our customers love that whatever new legislation hits the UK, the Sharp-aX development teams will have it scheduled & released well before the HMRC deadlines. Our customers love the 3 new releases they receive every year, the cost of which is included in their software support contract and includes new features, short cuts and items they have added to our “Customer wish list”. Call us, we don’t have an answer phone that tells you your call is important – We answer our phones and you may speak to whoever you wish without our qualification. And – We love our customers! !